Mumsnet, the online network for mothers, has appointed DigitasLBi as its partner agency for mobile following a competitive three-way pitch. The three-year contract will see the agency develop mobile products and services to help build new audiences for the brand. Justine Roberts, the chief executive at Mumsnet, said: "Mumsnet users are an incredibly diverse, articulate and funny lot, and we knew that we needed a partner agency that could be smart, flexible and creative, as well as bringing expertise in technology and strategy. "Luckily, DigitasLBi had the qualities we were looking for, and we're looking forward to producing some game-changing mobile content with them." Mumsnet is looking at a number of approaches to its mobile strategy by developing apps in-house and partnering with DigitasLBi. Sergio Falletti, the technology partner at DigitasLBi, said: "This was a meeting of minds from day one. A strong focus on understanding our audience, the ambition to create high quality products, a preference for lean practices and an openness to partnerships. 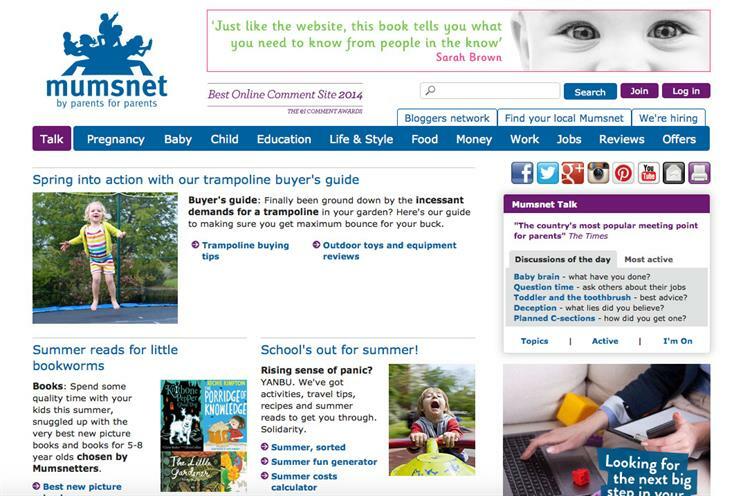 "Mumsnet have a great team and a great community – it will be our challenge to match that with our mobile craft." Media Forum: Will net forums ever excite?